Duncan Barbour – Wildtrackers – The remote location specialists. WhenDuncan Barbour first got behind the wheel of a Land Rover on the family’s pig farm in Scotland at the tender age of ten it was the beginning of a love affair that would last a life-time. The Scotsman clearly remembers that day – charging around a field and splattering as much mud about as possible. Over the intervening years he’s manage to hone those driving skills to establish himself as one of the most respected off-road experts in the world. His fascination with all types of vehicles was evident as a teenager when he worked school summer holidays at his father’s plant hire company – trucks, diggers, JCBs and bulldozers all proved too much of a temptation. And there was no stopping him come his 16th birthday when he got his tractor’s licence and could legally drive on the roads! More work on farms meant closer ties with Land Rovers and other machinery and Duncan admits he was ”always looking for something to drive over”. Having indulged in a spot of rallying with a friend his driving skills were tested further when he went to work on sheep stations in New Zealand encountering all sorts of conditions. Life took another turn in the mid 80’s when he saw an advert in a car magazine looking for entrants for the first British team in the Camel trophy. Three years running he made it down to the final six of the selection process. In the end he worked for the event as the Camel Trophy co-ordinator which entailed just about every facet of this world famous challenge – recces, selection, training, equipment, procurement. During his five years he had many memorable experiences of the Camel Trophy which was staged in places like South America, Russia, Africa and Borneo. It was during this time that he struck up friendships with Bob Ives and Andy Dacey sowing the seeds of the Wildtrackers partnership of the future. In another twist of fate, on the day Duncan was made redundant, he took a call from cameraman Nick Phillips seeking his advice about off-road camera tracking for a new film – Braveheart. 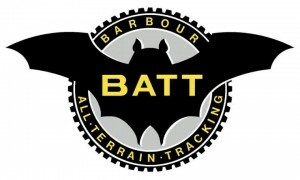 And so was born the Barbour All Terrain Tracking vehicle – now known affectionately throughout the film industry as BATT 1. Its results for that particular oscar-winning movie are still one of Duncan’s proudest achievements. BATT 1 has since gone on to accumulate a distinguished list of movie and television credits including – Gladiator, Harry Potter, Golden Eye, Sleepy Hollow, The English Patient and The Mummy. Duncan divides his time between the unique work of BATT 1 and expedition consultancy and management, plus vehicle launches where his experience and professionalism is renowned around the globe.